This Friday the 3rd through 5th grade thunderbirds will rock the evening afternoon away at the ? ShamRock Dance ?. PTA executive board elections are in April and we need a Vice President! The job involves supporting the President, helping to keep track of the PTA calendar and supporting PTA event coordinators. Average time commitment- 1 hour/week (sometimes more near events or on board meeting weeks). If you are looking for a way to get involved next year, please contact volunteers @ travisheightselementary .com. There are several other openings as well- we can find the one that is right for you! If you are renting your home and would like to learn more about your rights as a renter and how to deal with problems that arise, then please join us for a presentation by the Austin Tenant’s Council, Wednesday, March 8th 6-7:30pm in the THES Cafeteria. See the attached flyer for more information. Volunteers are needed to work with groups of Dual Language Kinder students in the mornings to support reading and math. Please contact volunteers@travisheightselementary.com for more information on specific needs and times. Do you know any Artists? We are looking for artists who can lead hands-on art sessions for groups of 3rd-5th graders at our Young Artist’s Workshop May 23rd. If you, or someone you know might be interested, please contact YAW coordinator, Soo Spaw at sooleespaw @ outlook . com. 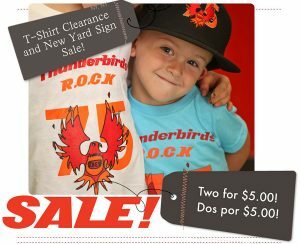 T-shirt Clearance & New Yard Sign Sale!! Last Chance for T-shirts! Before and after school March 6-10th. T-shirts are 2 for $5 while supplies last (we have Kids 2T – Medium and Adult Large & Extra Large). Also, the new THES Yard Signs are here- Only $10! Cash, Checks and Credit accepted. PTA Rally Day was a Success! Thank you to those who were able to come out and raise your voices in support of public education. Even if you weren’t able to make it to the capitol, you can still support the effort. Check out the Austin PTA Advocacy page (acptaadvocacy.org) where every Monday they post a letter you can send to state representatives to encourage them to support better funding for AISD. The school grounds look great!! We appreciate all your work on Saturday.